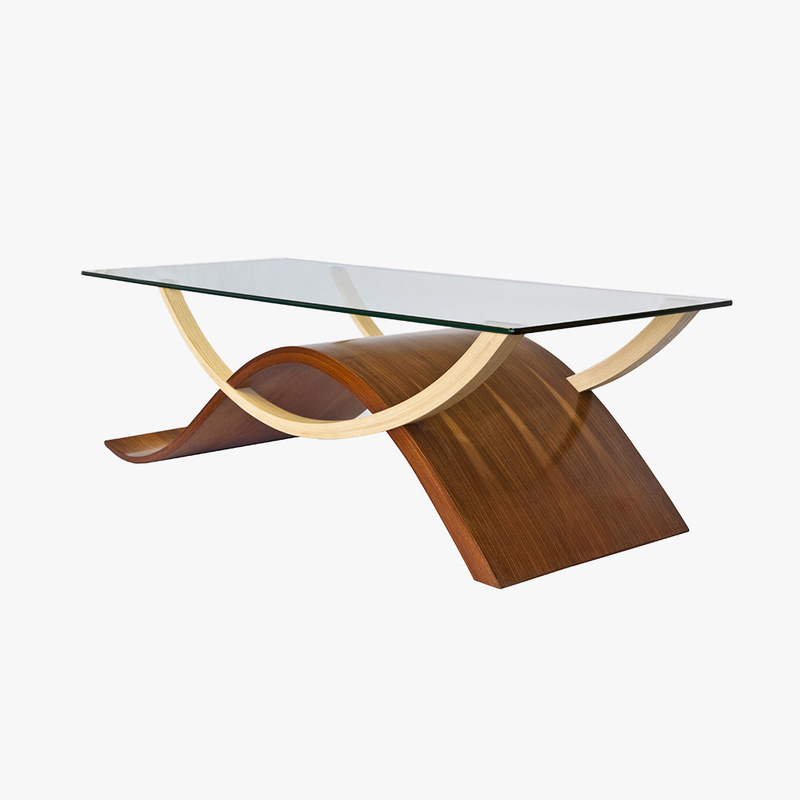 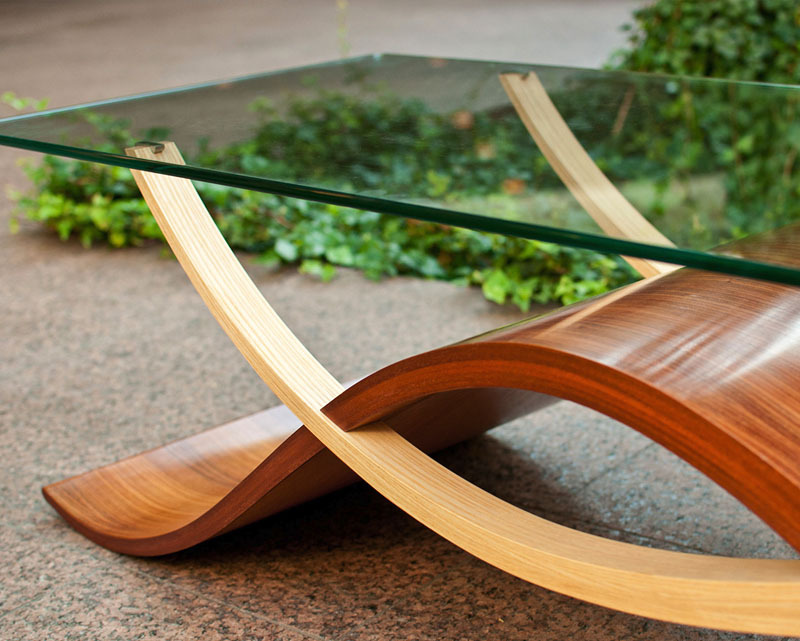 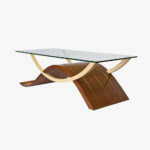 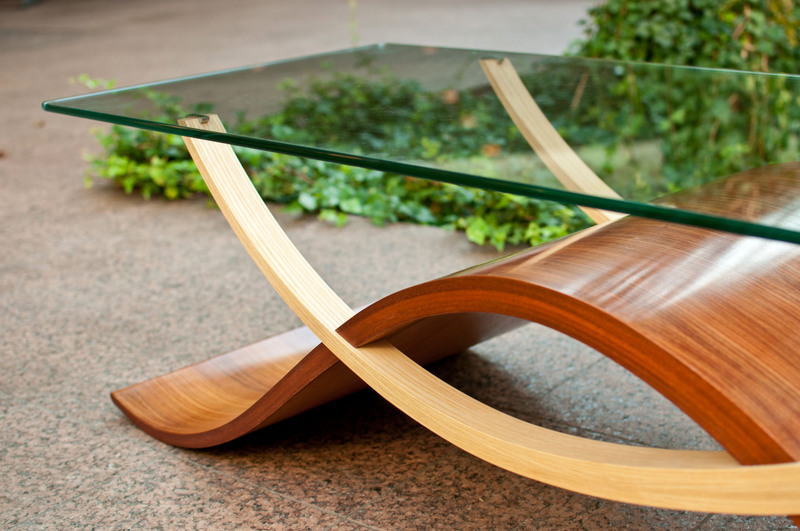 This premium handmade coffee table is made with East Indian rosewood, mahogany, white ash, bending ply wood, polished steel, and glass. 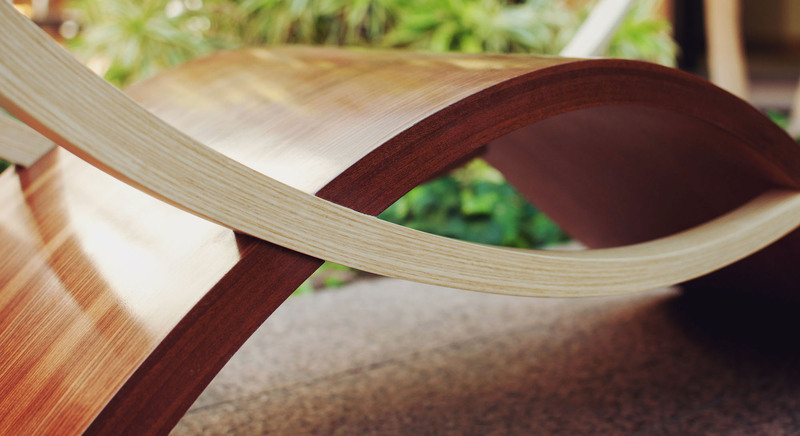 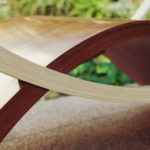 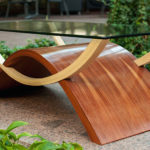 Tapered, bent-laminated reverse curve panel opposed by a pair of tapered, bent-laminated ash top supports. 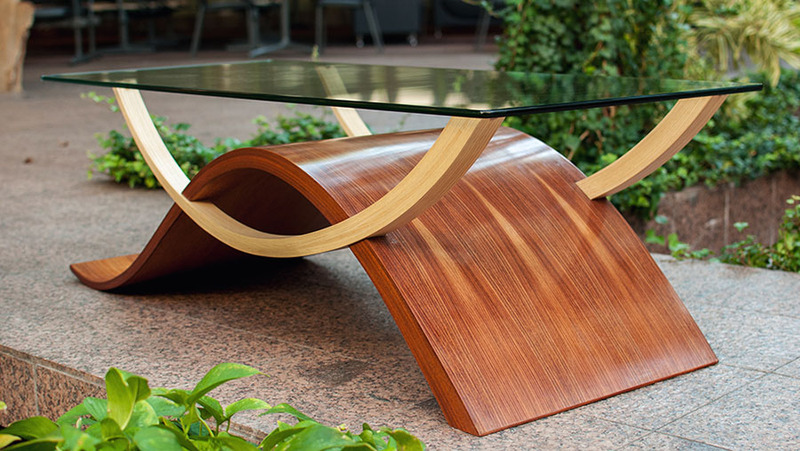 This piece is designed to give a feeling of flowing, tidal motion. 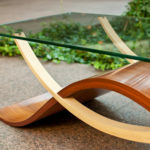 Water expressed through wood.Wood species and dimensions customizable.